Top SmartPhones to buy in Flipkart Big 10 Sale May 14-18, Best Mobiles/Phones to buy in Flipkart Big 10 Sale, Flipkart Big 10 Sale Offers and more ! The season of e-commerce shopping has begun and this time it is going to create a lot of noise and boom for sure! 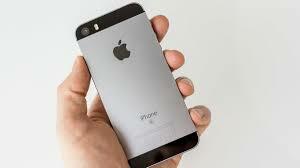 Low cost phones with best features are the center of attraction of this mega sale being offered by Flipkart. This 5 day shopping extravaganza is a great online festival to witness and enjoy the unbeatable sales on the cards. The special offers on phones is starting mainly May 15. Exchange offers to be available on select smartphones. The apple of everyone’s eyes..iPhone7 will be available at the lowest cost ever as claimed by Flipkart. 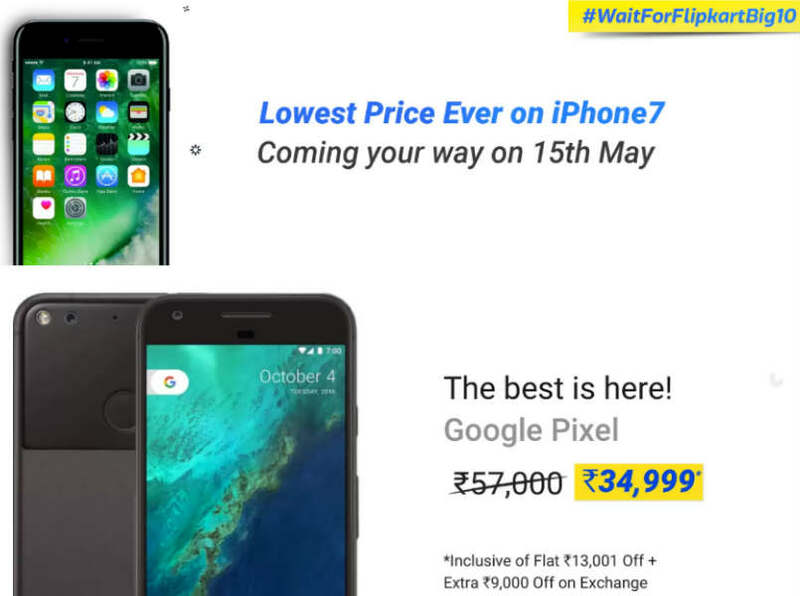 The price is still a suspense, to be disclosed by Flipkart on May 15. Stay tuned on this page for all news! Also, checkout iPhone6 & iPhone SE . News of Google Pixel being available on Flipkart Big 10 Sale is doing the rounds and flipkart has already revealed that Google Pixel will be sold at a discounted price of Rs. 34,999, down from its original price of Rs.57,000. It is offering an extra Rs 5,000 off on exchange over regular exchange value on Oppo F1s rose gold variant and Oppo F3 Plus. Users will get an extra Rs 4,000 off on exchange of Vivo V5 and V5 Plus. 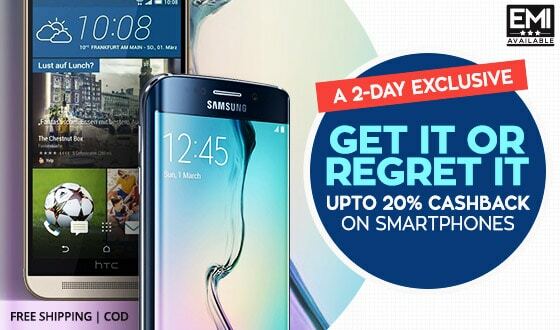 Checkout Flipkart Big 10 Exchange Carnival for updates on Oppo and Vivo Phone Flipkart Big 10 Sale Exclusive offers! Galaxy On5 and Galaxy On7 will be available at Rs 6,490 and Rs 7,990 respectively during Flipkart’s sale originally priced at Rs8990 and Rs 10990 respectively. 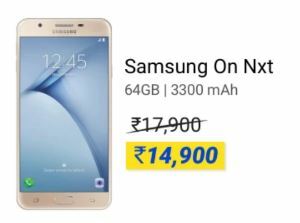 Galaxy OnNxt, the 64GB phone is going to hit the online market at a whopping sale price of Rs14999 which is Rs5000 lesser than its original price. Lenovo Phab will be up for grabs at Rs 7,999. Users will get up to Rs 7,500 off on smartphone exchange. 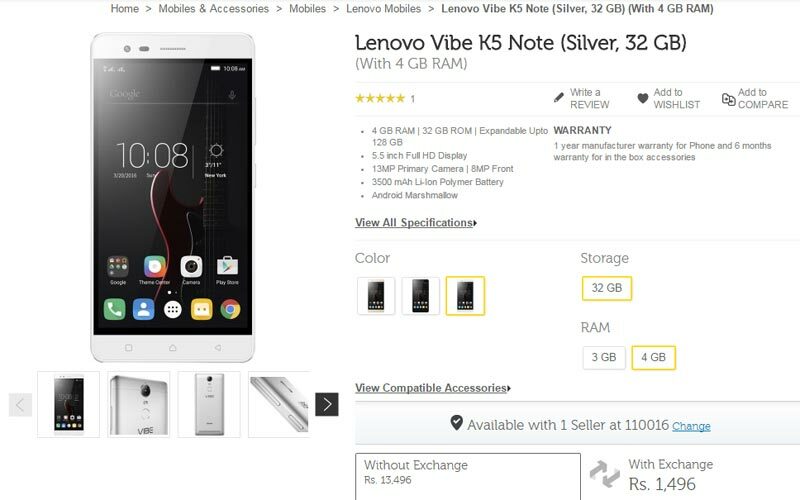 Lenovo Z2 Plus offered at Rs. 11,999, flat discount of Rs. 6,000 and will offer a flat discount of Rs. 2,000 across all variants of K5 Note with phone’s 4GB RAM/ 64GB inbuilt storage variant set to be available at Rs. 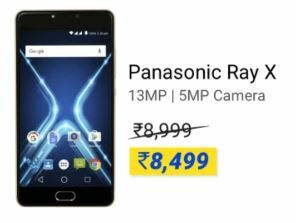 11,499 in the Flipkart Big 10 sale. Moto E3 Power is to be available at Rs6999 at a discount of Rs1000 from its original price. Likewise, Moto G Turbo will be available at a price of Rs6999, flat discount of Rs5500. Also, checkout Moto G5 Plus. Panasonic will be offering its Eluga Ray X and Eluga Ray Max (4GB RAM/ 64GB inbuilt storage) smartphones at Rs. 8,499 (Flat Rs.500 off) and Rs.11,499 (flat Rs. 1,000 discount) respectively. The launch of P85 and Eluga Ray smartphones are the interesting part of the sale. The Panasonic P85 comes with a 4000mAh battery and will be priced at Rs. 6,499, will be available as low as Rs. 4,999 with an additional Rs. 1,500 discount on exchange. The Eluga Ray will be available at Rs. 7,999, and go as low as 6,999 with an additional Rs. 1,500 discount on exchange. Checkout Panasonic Eluga Note on Big 10 Sale. Huawei is to be available at Rs29,999 which is Rs10000 lesser than its original price. Honor8 is to be available at a price of Rs 24,999 with an additional discount of Rs 5000 on exchange. Asus Zenfone 3 to be available at Rs 14999 which is a superb discount of Rs7000. Like its counterpart, Asus Zenfone 3 Laser is to be available at Rs11,999, flat discount of Rs8000 as part of the sale. Swipe will be offering Elite Sense and Elite Max smartphones at Rs. 5,999 (flat Rs. 1,500 discount) and Rs. 7,999 (flat Rs. 5,000 discount) as part of the sale. Sansui will be launching its Horizon2 smartphone with 2GB RAM and 16GB inbuilt storage at Rs. 4,999 as part of the sale. 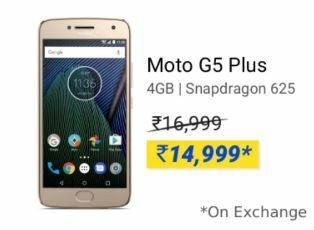 Best SmartPhone tech deals only at Flipkart Big 10 Sale, Hurry!